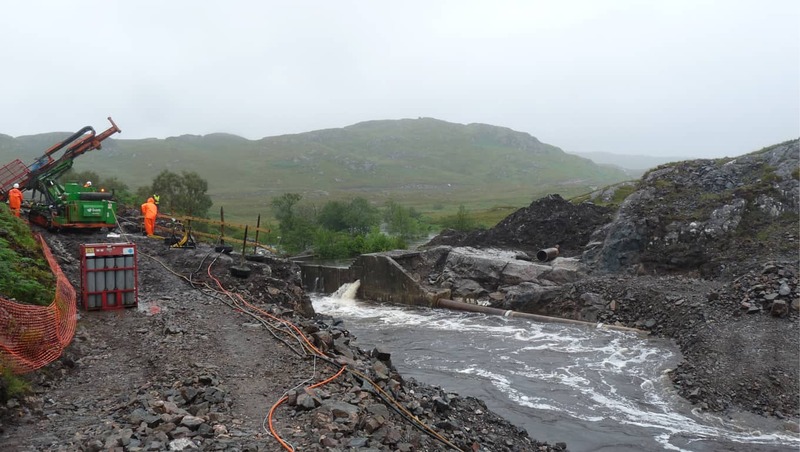 Following the decision to upgrade the existing hydroelectric scheme on Ardtornish Estate (Scotland); preliminary ground investigation confirmed that the ground conditions were not sufficient for the planned hydro scheme and a decision was made to undertake a more detailed investigation, which included rock drilling and geochemical testing of the samples. 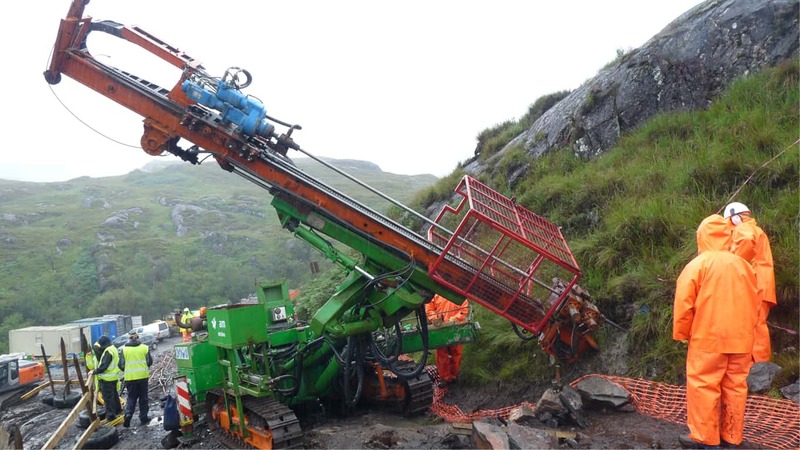 Two 10m deep vertical rotary cored boreholes and one 10m inclined rotary cored borehole were drilled and samples were sent to a geotechnical laboratory for testing. 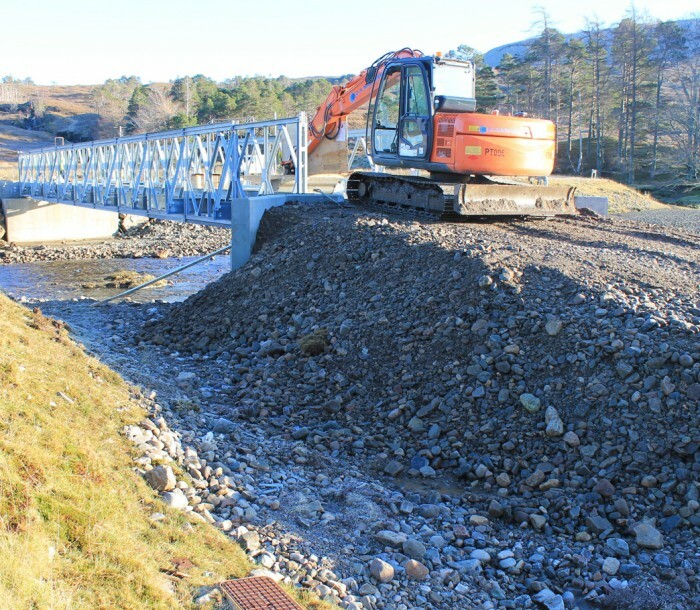 The test results confirmed that the ground in the immediate vicinity of the proposed dam site needed to be improved in order to allow safe construction and operation of the proposed dam. It was determined that a number of holes would be drilled which would be filled with grout consisting of a mixture of cement and bentonite. 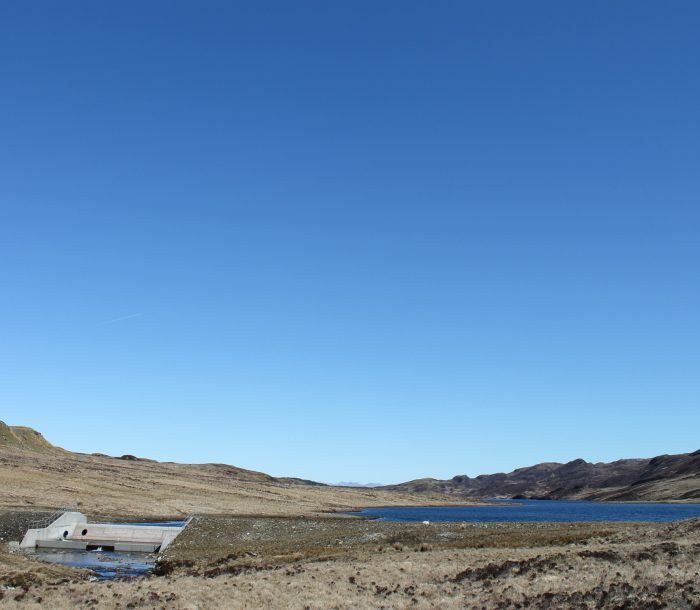 A total hole length of over 400m was drilled. Over three tons of cement and bentonite were used to inject into the grout holes and after completion, each hole was tested for permeability. 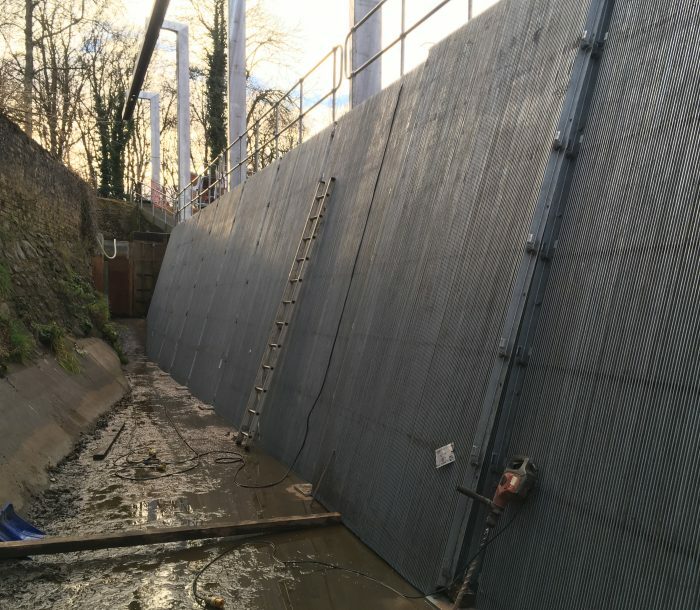 The test results were accepted as satisfactory, and three years after the dam was completed, the regular dam inspection confirmed that the structure is sound and working as designed.